An oral history of Toronto area punk to 1981. I moved to Canada in 1981, so missed all of this, but I saw the ripples after. The book has extensive selections from some of the main figures in the Toronto-Hamilton scene including the Viletones, Teenage Head, the Forgotten Rebels, the Demics and more. (Boy, a lot of people didn’t like the Diodes). Well worth reading even if, like me, it’s history not memory. Some cool pictures too. The interviews which provides the background to Savage’s England’s Dreaming. Essential reading on the history of punk in the UK, this volume fills in the gasp with interviews with almost all of the players. Outstanding. Wow, it must be fifteen years since Exit the Dragon came out. Remember when Urge Overkill released Saturation and stood poised to conquer the world? Then came Exit, and it felt like a step back. Listen to it now, and it sounds pretty good. “Effigy” sounds a lot like vintage Urge, and that’s not a bad thing. A new album is supposed to be in the offing, but you can get this as a download from Spin. Another collaboration from former Belle and Sebastian and Screaming Trees members. I read the reviews, and bought the album, but I have to admit I’m not overwhelmed by it. It’s fine country-folk with a twist of psychedelia, but it’s nothing Lee and Nancy or their spiritual descendants Dean and Britta haven’t done better. I also bought a ticket for their upcoming show at Lee’s Palace in Toronto, so we’ll see how that turns out. The difficult second album. Last year Buzzcocks remastered and reissued their first three post-Devoto albums. All of the albums are two CD sets including the original album, singles, demos and live tracks. I finally picked up the second release Love Bites a few weeks back. Second albums are difficult things. Quite often you spent a couple of years working on the songs which comprise your first record, then you have six months to work on the second. The songs you get are rushed or the ones which weren’t quite strong enough for the first. If the record is similar to the first, people say you’re stagnating; if it’s different, people criticize you for deserting your fans. You can’t win. Love Bites was tricky, but it’s still full of great hocks and clever songs. Well worth having in this form. And speaking of albums which came changes in direction, coming after Metal Box and Wobble’s departure from the band, Flowers seems like an entirely new project. More percussion and a middle-east sound, the record still features Lydon’s eerie vocals (my daughter won’t let me listen to this when she’s around as it spooks her) . Suffocating, but also the last great PIL record. Not strictly a music note, but I’m putting it here anyway. I watched the first episode of the new version of the show last week. Nothing special even though it features James Marsters as a baddie (c’mon, no one believes he died at the end of the episode) and the lovely Grace Park as well…well you figure it out. But it was great to hear that theme music again. apparently earlier versions contained a new score, but fortunately people realized there are just some things you don’t change. One Sunday a month, the Rex Hotel on Queen Street in Toronto hosts a blues matinée. I went two weeks ago and saw Dr. Nick and …. (sorry, can’t remember the name). They were great, and anyway, it’s a fine way to spend an afternoon before heading back to the drudge, and something which should be supported. Not sure when this month’s is taking place, but check out the web site. The links page at the Internationalist Perspective site has been updated. Have a look . Just remember, if you’re planning to catch a band at Lee’s Palace on a Saturday night, get there early: Parking is hell. Opening band Male Bonding came on at 10:45. In my opinion, it’s a daft name, which could only have been mitigated if the three member UK group were women. Unfortunately, none of them were. 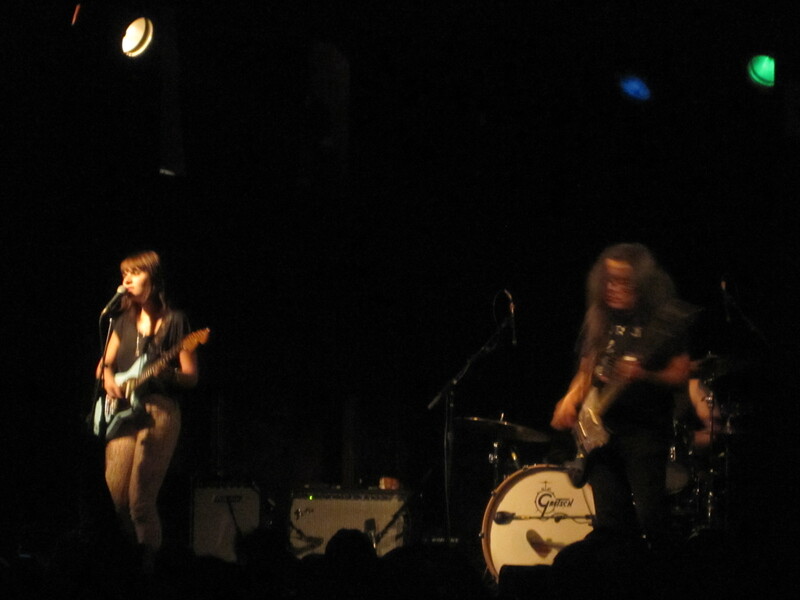 Best Coast released a series of well-received singles over the last year or so, and this summer released their first full length record. The band seems to tour incessantly, but seeing them live, you can see why. 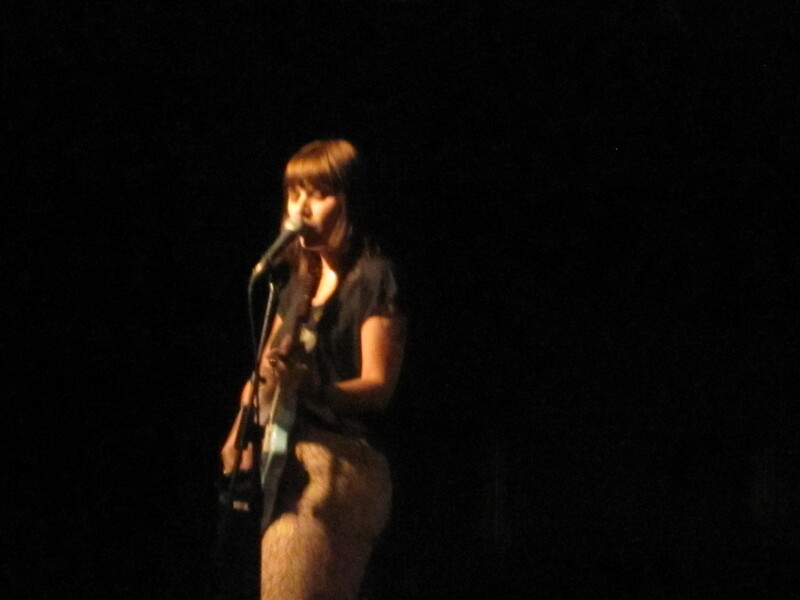 The bad feelings built up through Male bonding’s set were instantly dispelled by the arrival of Best Coast. From the first notes of their set, they brought a joy to Lee’s Palace that was hard to disguise. The only disappointment was the length of the set: 40 minutes and a 1 song encore does seem brief (Cosentino’s illness didn’t seem to be a factor here). But hey, the ticket price was very reasonable, and while they played, they were sublime. If you haven’t heard the album, do so, and while you’re at it, check out those early singles. Last week I went to the annual meeting of Pakaraima, an organization of Guyanese and Caribbean Canadian writers and poets. I’ve been involved in the production of two books by Guyanese writers, and one of them invited me to the meeting. My awareness of Guyana began, like many people, with the madness and destruction of Jonestown, the so-called People’s Temple led by Jim Jones. But, as many people have pointed out, they people at Jonestown were all Americans; most Guyanese were unaware of the goings on there. So the meeting featured a number of Guyanese Canadian authors reading poems and selections from their works. Some good, some bad, some ugly. The work was often autobiographical, touching on the immigrant both in Canada and elsewhere. As the evening wore on, the programme got further and further behind schedule, alcohol flowed a little more freely, and a more pronounced nationalist tone became evident. But good food, and some good literature are not a bad way to spend an evening. Should also mention the two books I worked on. Teacher Ram’s Fascination with Fire by Ken Ramphal and Sharda by Julie K Jailall. Both short story collections. I wonder if there’s a word that means a longing desire initiated by a work of fiction. There should be. I read all of William Gibson’s early works. Even though the concepts books like Neuromancer described are now ubiquitous, the books themselves are still stunning. I loved Gibson’s work, but somehow I didn’t read his later works. A review of his latest Zero History peaked my interest, but as it was the third of a trilogy, I decided to read the first two books before this one. I started Pattern Recognition a few days ago, and am completely hooked. Not least because of the first part of the novel’s setting in London. Cayce spends the first hundred or so pages in london at a friend’s apartment, but the descriptions of the city have filled me with an ache to see the pace again. I haven’t been to the UK in ten years, but maybe it’s time again. My proposal for that word then is fictoyearning. Not perfect by any means, but use it and we’ll see what happens. Maybe someone will come up with a better word. I was watching an episode of the British detective series Lewis on PBS a few nights ago. During the show, Lewis’ DS James Hathaway recites this amazing poem by Alfred Edward Housman. It’s worth repeating here. A little grandiose in the title department, but I carry on anyway. The first issue of the very wonderful Radical Anthropology has a piece by Graeber in it, which sets out his orientation.